Just put down a simple Coopers English Bitter with a Swiss spray malt. Simple recipe but this is my favourite go to session drink. When it costs about a buck a litre, can be in the fermenter from sanitisation to yeast in well under an hour, how can you complain in not having a reasonable, easy to drink ale at hand. Just looking at my inventory. Doing a brew on New Years Day, always takes a few days to plan. Was hoping to do a Brown Ale, but sadly missing one of the ingredients, so will have to settle for the house beer, Rusty Pail Rye ale! What's the recipe on this Rusty Pail mate, if you don't mind giving away the secret. 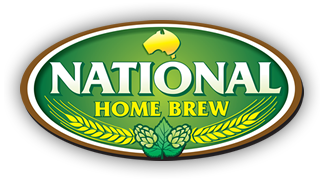 I have opened this thread as the majority of posts relating to home brew are in connection with biab or all grain brewing. There is absolutely nothing wrong in that however some people I suspect shy away from posting/questioning when only doing kits or simple partials. These days I mainly do kits, in particular Coopers of all sorts and use malts rather than enhances or dextrose or sugar. 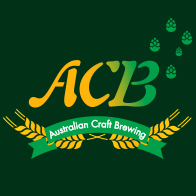 So if your a kit brewer feel free to post, ask questions etc as the is heaps of knowledge here and the majority of brewers all started with kits and are willing to help. True Grott . When I got back into it, my first brew...which went to a case swap...was a K & K Coopers Sparkling Ale thingy. Went pretty well, the only reason I went all in with AG was going to a fellow forum dude's place just up the road, he had a 6 tap font in his garage, and the beer was bloody beautiful. Kits went staright out the window, Nowt wrong with kits, it was a very decent beer. Now the initial launch, concert party and dancing girls era is settling down we really need to start attracting new brewers who are using kits and don't really want to, or are unable to, go onto all grain. Last year I was on the kits and bits judging table at Grafton Show and most of the entries were bloody quaffable. Great stuff Bribie. Toucan stout, yum. You can definitely make some great brews with kits n bits. A lot of the other things we discuss such as sanitation, yeast health, temperature control and fermentation apply just as much to kit n kilo brewers as they do to AG brewers. Before I started AG I did things like temp control which really improved my brews. The reason I moved to AG wasn't that my beer was bad, it was that AG opened up more styles and ingredients to me. I'm looking at em not for em. I've been brewing and drinking kits for years and it has turned into a great hobby. I first started after leaving school brewing Farmlands Draught plus heaps of sugar and at the time it was drinkable......but it got everybody pissed. These days I am proud of my beer and get plenty of compliments from thirsty mates. The only conplainers are staunch mega swillers that can't handle hops. I love the simplicity of extracts but I still take care in my brewing methods many of which have been learned online. My first major improvement to brewing was temp controll followed by no rinse sanitation then yeast harvesting and hydration as well as O2. Next was kegging and now pressure fermenting. Experimenting with hops and a few specialty grains can add to making a great beer. I still haven't made the leap to AG, purely because I'm happy with the output from kits, hops, good yeast and sometimes well sort of becoming every time specialty grains, can't beat a bit of chocolate grain in a cooper's dark can. As mentioned temp control was a quantum leap in quality and stainless / pressure fermenters. It's a great hobby and if you and sometimes others are happy, do what you want to do. Great beers are to be had with kits. Thank you kind Sir. It's good to have a place in this world. I'm doing a Cooper's Stout this weekend with dark malt, Chocolate steeped grains, Vanilla beans and but of lactose. Put it away for winter. Yummo. A but of lactose is quite a lot so I'll just do a bit of lactose instead. Cheers. Went into the FV an hour ago, jeez it smells great. OG 1046 pitched 2 packets of Cooper's Yeast. Fermenting at 18 c.
See how it goes in a couple of weeks then a few months in the bottle. When and how do you add the vanilla? In the boil added 1 vanilla bean split to start with then added another at the flame out because I didn't think I could smell it taste enough. I've added it after steeping 2 split beans in vodka for a couple of days. Threw it all in and it was beautiful. Subtle but there. Oh, how I DO like to talk. Hey Simon, I'm a newbie too. It's only one step up from the simple kit and kilo of sugar. Step 250g of choc malt grains in warm water from the tap, then boil the water you get from that and add the other ingredients. Galaxy	15	g	Dry hop at completion of fermentation. Sounds good, although I'd get the wort down further than that before pitching the yeast, maybe sub 20*. You dry hopping that one? simon - once you've got one or two kit and kilos under your belt you should step up to kit and a bit, like Hambone above. It's a tiny/easy step that teaches you a lot about specialty grain and hopping your beers. Will do thanks mate. Yeah the last hops are dry hop. will try and put them down tomorrow looking at setting them at 18 degrees or is that a tad low, I will get a few basic brews down and then start experimenting a bit. @hanbone - Ah yeah, missed that! Each to their own but I'd bump that dry hop up to 30gm, if you're looking for a hoppy IPA. Awesome thanks. I was thinking exactly that but I set the recipe up in Ian H's spreadsheet and it hit the middle of the square. But I will definitely go 30g on all. That's good in another way because that's all my leftover hops too. They sound good to my inexperienced eyes. I’m looking to do a quick kit & kilo to use as a starter for a larger volume lager and have a query around malt, dex, etc. to use. I dropped into a brew shop that I don’t normally go to and explained what I was after. He gave me an MJ’s Munich Lager with a kilo pack of 50/25/25 LDME/dex/maltodex. Happy to run with that but am now second guessing myself and am thinking to use all LDME, but then again I like a dry lager so some dex wouldn’t go astray. 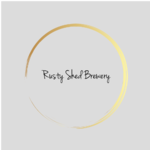 I have not brewed kits in a long time (and even when I did I pretty much just followed other peoples recipes) so any thoughts would be appreciated. One of Coopers monthly brews is a kit for Session Ale for $38, delivery free. Tried a stubbie the other day and it wasn’t a bad drop I thought for a hot day. So when it arrives here in Adelaide from Brisbane via bloody Sunshine West in Victoria I’ll put it down and let you know the results.